Kennel-Gear plastic cage cups are about 1 quart in size. 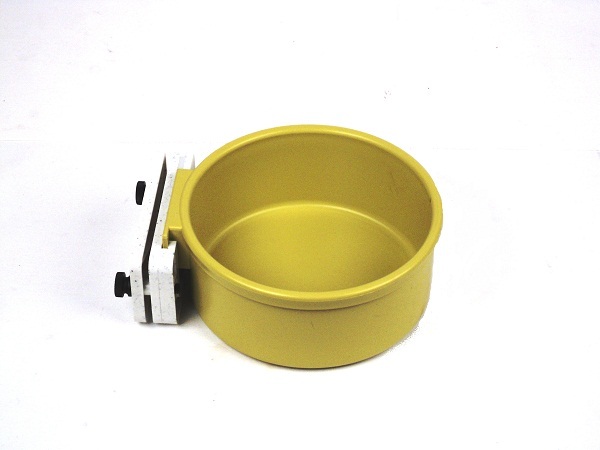 The bowls are constructed of durable polypropylene and are dishwasher safe. 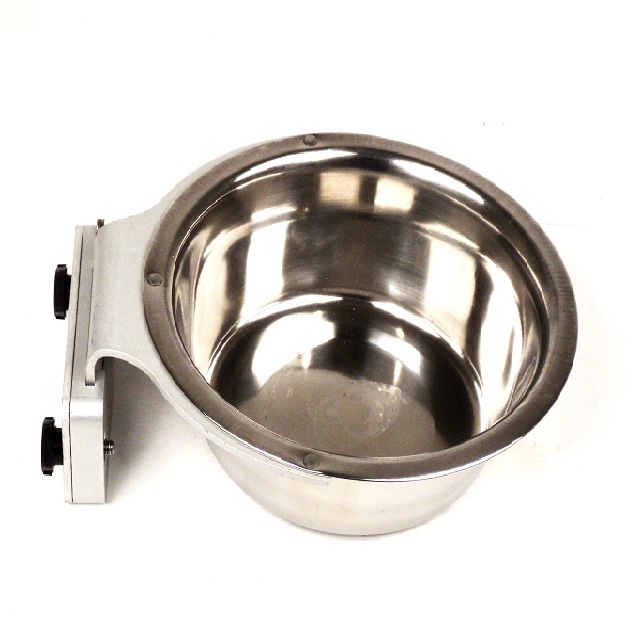 The kits come with a bowl and Cage Bar Mount. Our mounting systems works on kennel bars, cages, traps, chain link fences, or you can mount the surface plate to a solid surface (thumbscrews and back plate are not required when attaching surface mount to a solid surface).